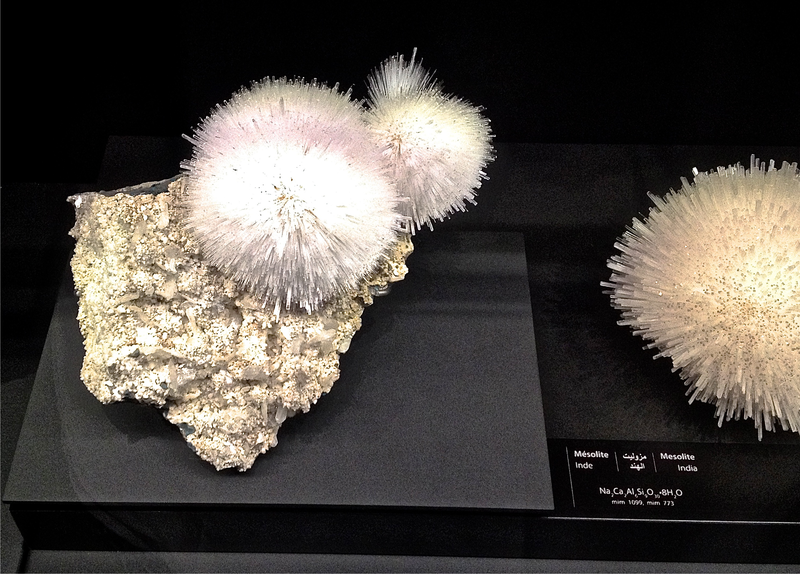 A fascinating set of jewels, a pool of wonders, a burst of colors; that is what we find at the MIM, Museum of Minerals. 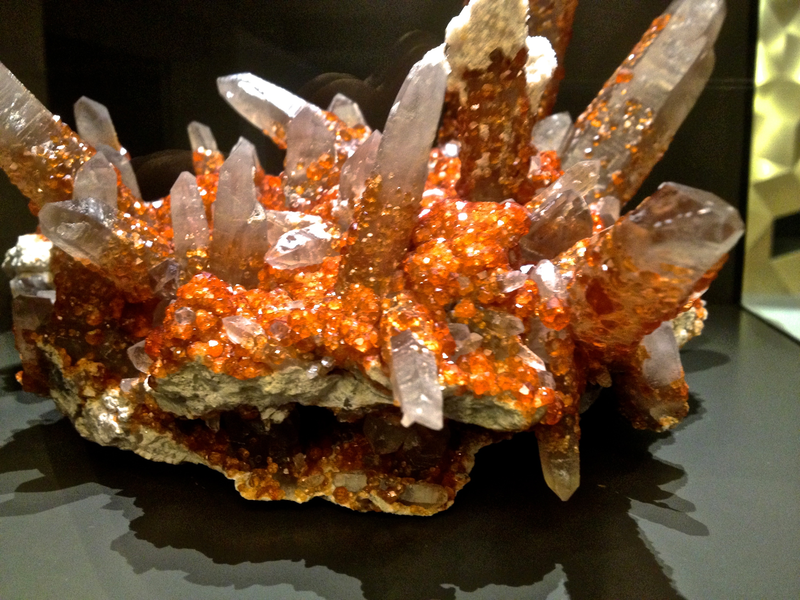 The MIM exhibits more than 1500 minerals, gathered from around the world and brought to Beirut by Salim Eddé. Eddé has been collecting fabulous specimens since 1997. 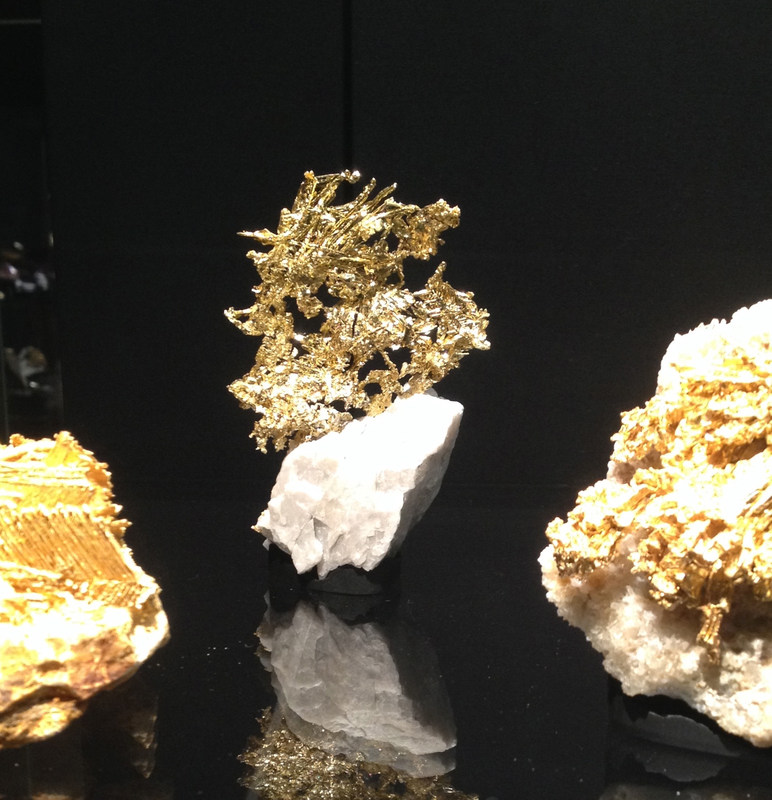 His collection is considered as one of the most important private collections due to its minerals’ wide variety, unique features and high quality. The museum is located in the campus of Saint Joseph University in Beirut, Lebanon. The first room encountered when visiting the museum assembles 9 minerals appertaining to the traditional Berzelius chemical classification. 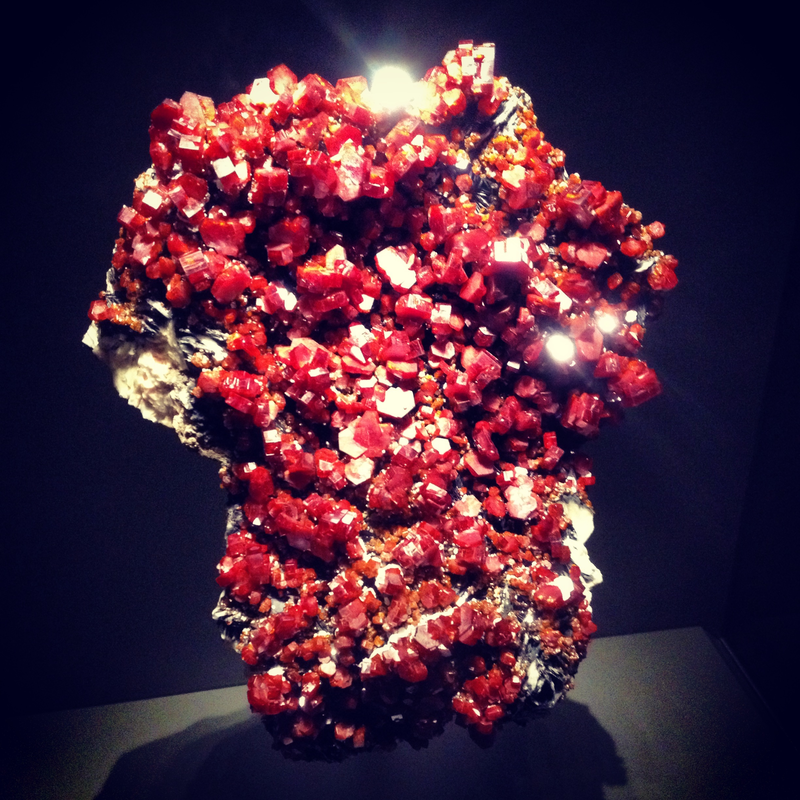 Mineral Vanadinite from the Phosphates, Vanadates & Arsenates class. 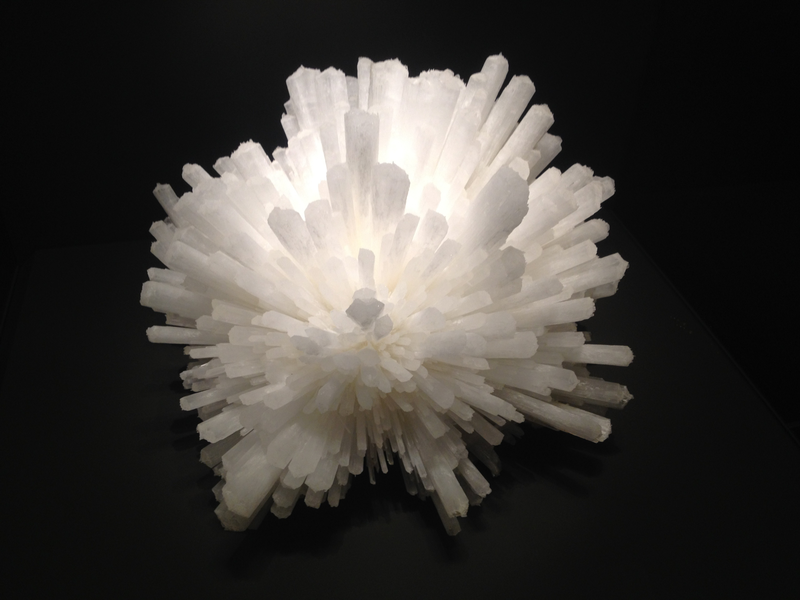 The mineral originates from Morocco. 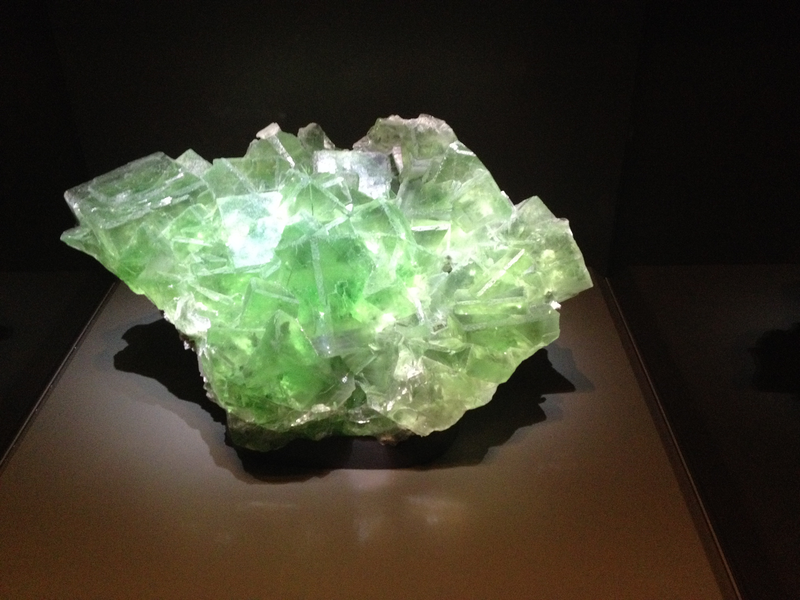 The museum also displays some radioactive minerals. These specimens are presented in a secured space and the gas generated by radioactivity, the radon, is safely removed. 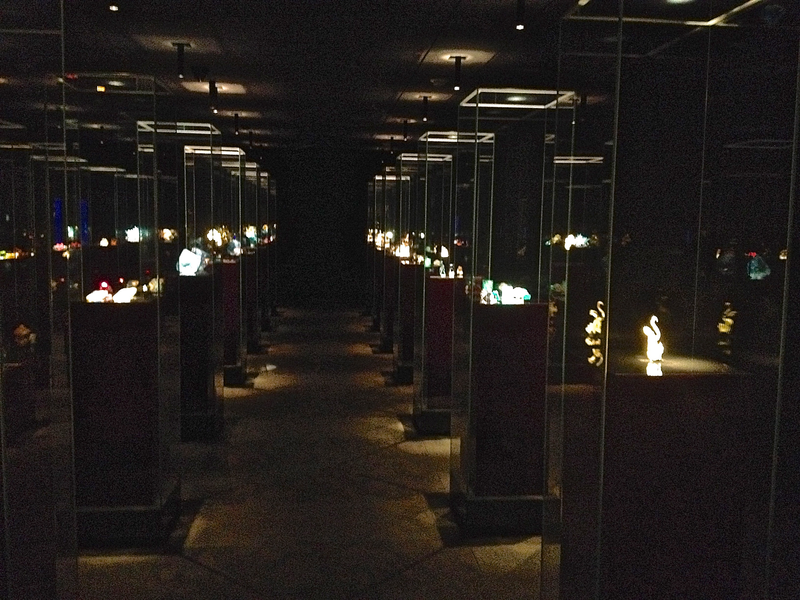 The museum is well designed: specific lighting is used to highlight the color variations in species such as tanzanite, the transparency of gemstones like peridot and tourmaline. Gold AU from the USA. 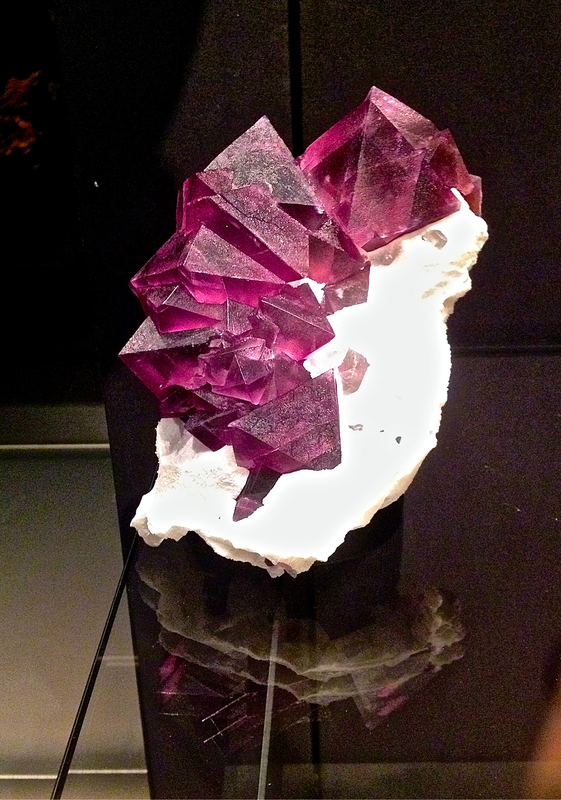 Fluorite mineral CaF2, from China. The Treasure assembles 21 precious metals in safe-like room. Several specimens of topaz, rubies, emeralds and sapphires were specifically selected for their visible geometric form. A 328 carats diamond from South Africa is also guarded in the Treasure. The Treasure room displaying 21 precious metals. 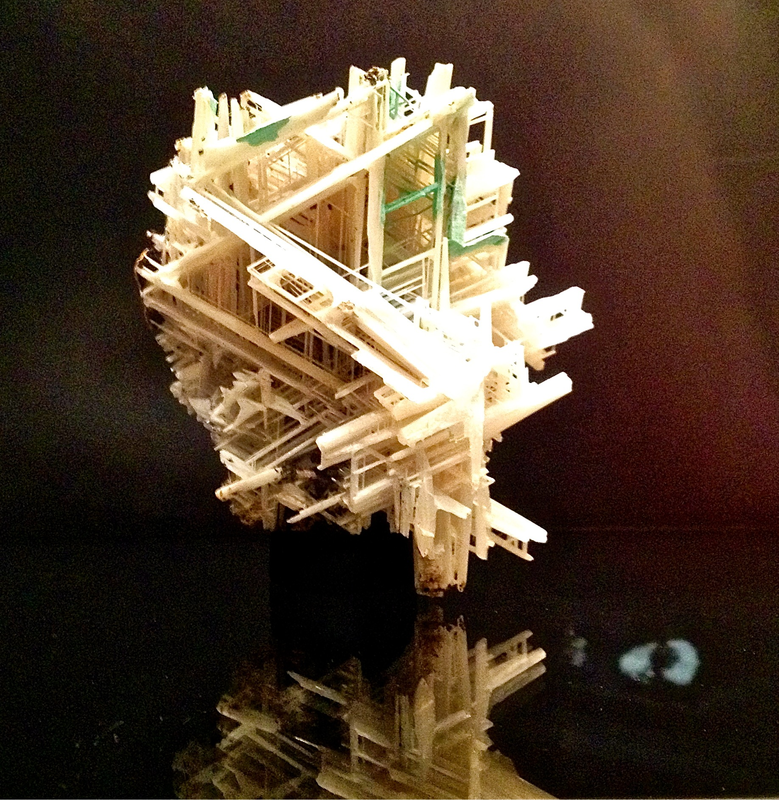 Cerussite PbCO3, from Australia. Some green malachite spots can be seen. The patterns formed are perfect equilateral triangles. 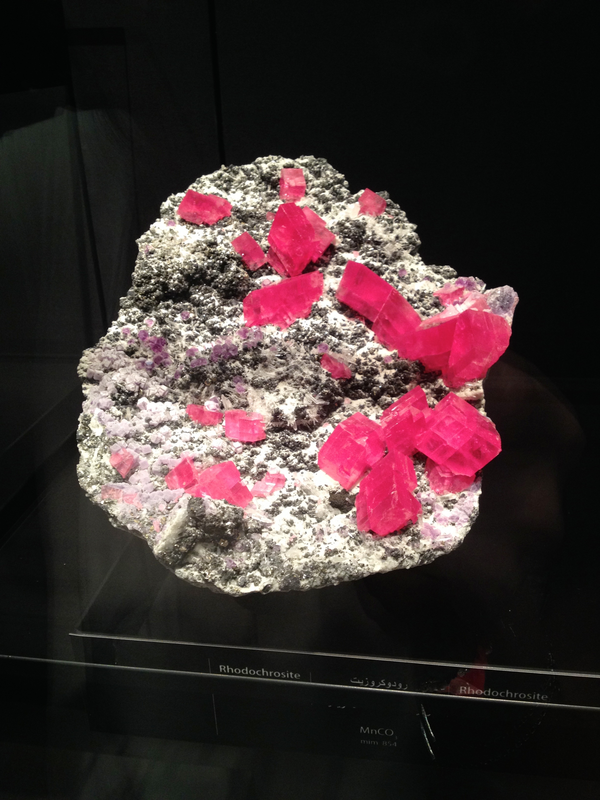 Specimen of Spessartine and Quartz, from China.